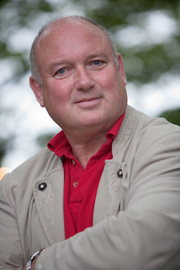 We feel absolutely privileged and thrilled to welcome award-winning novelist Louis de Bernieres back to Steyning. Louis is perhaps best known his best-selling novel ‘Captain Corelli’s Mandolin’, and for his wonderful Turkish historical epic ‘Birds without Wings’. Louis is a fascinating speaker who has held down an astonishing array of jobs, and is also an accomplished musician and a gifted poet, so we should be in for a real treat! 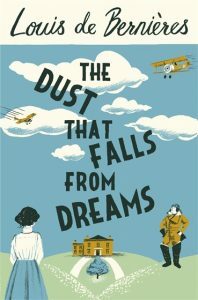 We will be celebrating the release of Louis’ eighth novel, ‘The Dust that Falls from Dreams’, published by Vintage, which promises to be a sweeping, moving chronicle of war and romance, as the fading Edwardian values of the late 19th century are transformed by the shifts of the First World War. ‘The Dust that Falls from Dreams’ is to be the first in a trilogy loosely based on Louis’ own family history. Tickets cost £35, and include a copy of Louis’ latest book, and a delicious, seasonal 2 course meal.